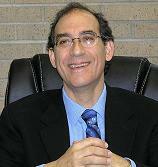 I continue my conversation with Rabbi Rob Cabelli of Beth Israel Congregation in Asheville, NC. We discuss afterlife, Jesus, and justice in the Jewish Tradition. Don't miss Religion For Life! Thursday, May 10th at 8 pm on WETS, 89.5. Sunday, May 13th, at noon on WEHC, 90.7. Sunday, May 13th, at 2 pm on WETS, 89.5. Monday, May 14th at 1 pm on WEHC, 90.7. Via podcast beginning May 15th.